HomeHEALTHThe Zeolite Fiasco – Are All Zeolites Really Toxic? The Zeolite Fiasco – Are All Zeolites Really Toxic? The Zeolite Fiasco–Are All Zeolites Really Toxic? I really respect Mike Adams—known as The Health Ranger on Natural News— I’ve been an avid reader of this site for years and love how he promotes natural therapies, goes after Big Pharma and exposes many issues mainstream media just won’t touch. He’s brave to do what he does, but when it comes to zeolites, he has got it a bit wrong on several key points. In case you didn’t know, Mike published an article (read it here) decrying the use of zeolites as a dietary supplement and suggesting this detoxifying mineral is actually ADDING toxic aluminum and lead to the body. He then goes on to say the only zeolite you should take is HIS newly-invented cesium-capturing product. However this info means millions of people could be deprived of the benefits of the amazing detoxifying mineral that is zeolite. I know quite a bit about lead exposure from personal experience. When I was 5 or 6 years old I put some very toxic lead paint on my body ‘for fun’. I was too young to realize what I had done was quite dangerous. Lead accumulates in the body and can weaken bones through displacing calcium. By the age of 26 I had broken 4 bones, so I know how bad lead can be. I then struggled throughout my painful adolescence suffering with severe concentration problems and was prescribed years of anti-depressants, but never felt better. In my early 30’s I still had a daily problem of poor concentration, brain fog, and ‘heavy’ legs. It was difficult to walk upstairs without holding onto the railings. I had developed very debilitating chronic fatigue from my toxic childhood and lifestyle. After 2 weeks on zeolites all of these things went away! To say that it was life changing is an understatement. However, there is ONE important difference. The zeolite I took was cleansed of heavy metals and is micronized small enough to detox throughout the body. I want to share with you some things that I have come to know about zeolite through research. Does zeolite add aluminum to the body? The easy answer is: no. All zeolites are by definition “aluminosilicates” which means their chemical makeup is aluminum, silica and oxygen. That is why zeolites pass through the body completely intact. On their way through, they can perform amazing feats of detoxification but only if they are cleansed of their existing metals. This is what most companies do not do. Or do not have the science to back it up that they do. In fact, the aluminum numbers Mike posts on his website (see the results here) are NOT what you would get from ingesting zeolite. Instead those results are from disintegrating the zeolite structure using powerful nitric acid. So of course if you dissolve the zeolite it will show high levels of aluminum. But as I’ve pointed out, zeolite is never dissolved in the body. 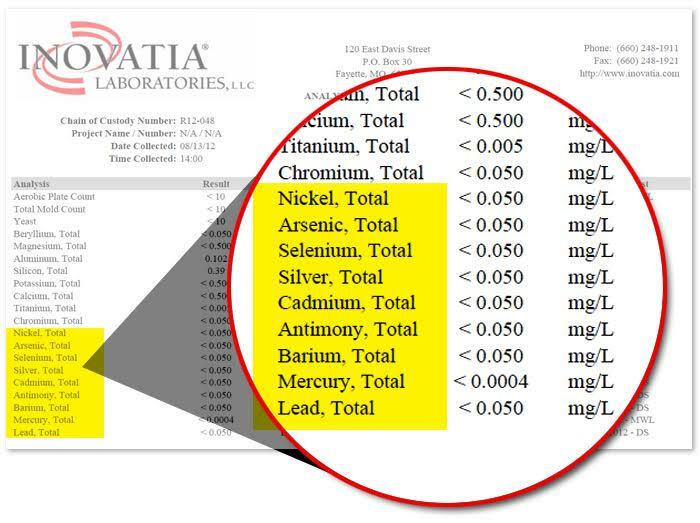 The test results on Natural News wrongly imply that you are being exposed to high levels of aluminum based on test conditions that don’t actually happen in the body. What about heavy metals in zeolites? The Health Ranger claimed that raw zeolite (mined and packaged for sale) has high concentrations of aluminum and lead. This IS true. They also have other heavy metals, including arsenic, chromium and cadmium. But it’s NOT what it sounds like–there’s more to this. All these metals are trapped inside the honeycomb structure of the zeolite. Yes, if you dissolve the zeolite in nitric acid (as Mike did), they will then be released. The honeycomb structure of a zeolite is negatively-charged, and most heavy metals are positively-charged. Like a magnet, zeolite attracts and then traps those heavy metals inside its structure. It’s a process called cationic exchange. It is the zeolite’s ability to attract and trap heavy metals that gives it such powerful detoxifying potential for the body. The test results on Natural News are based on dissolving the zeolite structure with nitric acid, which releases the trapped metals for measurement. It is not based on results for the intact zeolite structure. Raw zeolite has these metals inside the structure because over time, the zeolite encountered them in nature. But a zeolite that is already full of metals does not work. It’s like a sponge that’s already wet; it won’t mop up any more water. And there are numerous online sellers who are only too willing to crush up raw zeolite and pass it off to you. Raw zeolite is incredibly cheap so it’s very easy for people to start companies selling batches of it. When you dissolve those sorts of ‘un-cleaned’ zeolites you do find high levels of lead, arsenic and other metals. There is even one online seller of powdered zeolite who has a “study” claiming they removed heavy metals. But if you put IN a dirty zeolite full of heavy metals, guess what, a LOT of heavy metals come out in the test results. Mike is totally right to call them out on it, and I am glad he did! For zeolite to trap toxins in the body, it must first be cleaned of its existing heavy metals. This must be tested and confirmed as it’s the only way to know what you’re getting. One company DOES clean it, test it, and publishes the results. I tried to tell him this by putting a comment under the article that came out, but it wasn’t approved, which I have to say was extremely disappointing to me. I have had a ton of respect for Mike over the years but was sad to see that I wasn’t going to be allowed my say. This company (Touchstone Essentials) invests the time and money to thoroughly clean the zeolite and pay an INDEPENDENT third-party lab to confirm the results. The liquid (zeolite in water) is tested using nitric acid (like the Health Ranger did) and hydrochloric acid to dissolve and show what is inside the zeolite. Yes there is some aluminum and silica—that is what a zeolite is made of! But it is remarkably CLEAR of metals. You can see the full results on their website (click here to view). All the results values shown are parts per million (which is the same as mg/L). The lead level is only 1.7 parts per million, and that lead is trapped INSIDE the zeolite. Compare that to levels of upwards of 60 parts per million of powdered zeolites! Or how about their colloidal zeolite (oral spray), which is sized in the nanometer range, to detoxify throughout the body? Its test results reflect ZERO heavy metals. Again you can see the full results online (click here to view). The Health Ranger did not test these liquid zeolites and I am not sure why! If he did he would have discovered how clean they are. I agree very much though that powdered zeolites have a LOT of problems. But if you’re going to call out the bad guys (who sell raw zeolite) you should also highlight the good guys who go to the time, trouble and expense to get it right. Mike says zeolite only “passes through” and never goes into the bloodstream. But with zeolite, the particle size really matters. Thanks to their ability to trap toxins, zeolites have been used for many health benefits, although for years it was limited to the digestive system. That’s because the zeolite doesn’t break down in the body. It stays intact. Unlike foods or nutritional supplements, a zeolite doesn’t dissolve in water or fat (or stomach acid). Then scientists realized the only way to get the zeolite into the bloodstream was through its size. It needed to be small enough to pass through the intestinal membranes. Most raw zeolite is just far too big to be absorbed (1 to 11 microns). However, making the zeolite smaller doesn’t “break” the zeolite and release its metals. It can sometimes break the negative charge on the zeolite (so it no longer has a charge), but not the actual structure. If you use a crude mechanical device to crush down powdered zeolite, you’ll probably have more broken charges. That’s another reason to avoid the raw, powdered zeolites! With the right processing and when it is the right size (nanometer range) the zeolite is readily absorbed and can detoxify the whole body before being processed through the kidneys and urine. I know from my own personal experience with the zeolite from Touchstone Essentials it provides a WHOLE BODY benefit. They also have stories submitted from people who have experienced amazing results on their blog (see it here). “Looking for answers, in 2012 I took a 24-hour urine test that measures 22 heavy metals. 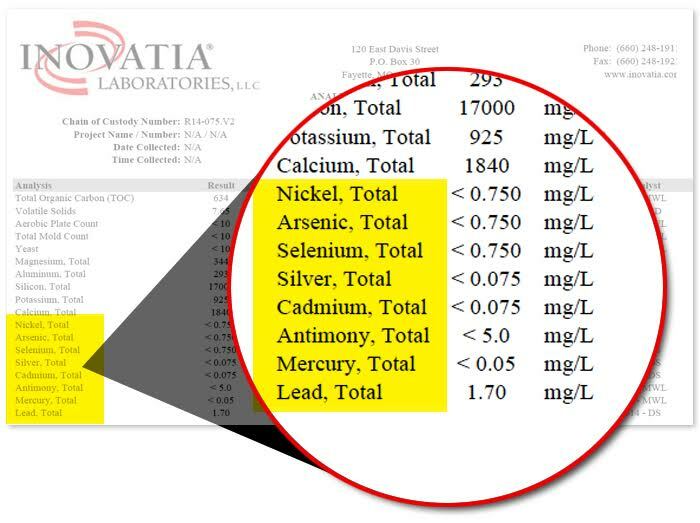 The comprehensive lab report showed I had 13 of the 22 heavy metals in my system. Mike Adams rightly says he avoids lead as much as possible in foods. In food, when you measure the lead, it is the amount of lead that is bioavailable and can be absorbed in the body. In a zeolite, there will be some lead trapped inside the structure, but it will not be available to be absorbed in the body. That being said, you still want to see a low level of lead inside the zeolite, so that the zeolite will be able to swap out its healthy ions (calcium, potassium) for the unhealthy ones (lead, cadmium, arsenic, etc.). It is the ability of the zeolite to mop up lead and other toxic heavy metals that makes it such a powerful detoxifier. Chronic toxic exposure contributes to almost every condition and disease. I see so many people out there who think that eating organic food and using safer beauty products alone means they are ‘living clean’ but it’s an illusion, a false sense of security. Mike, if you are reading this, I still think highly of you and what you are doing at Natural News, however, I just wished you had allowed me to contact you through your website about this particular product. I’m glad you are highlighting the issue with zeolites in general, but not all zeolites are the same. TLB recommends you visit Touchstone Essentials for more pertinent articles and information.